Pearl Jam front man Eddie Vedder has written and performed a new song about being a fan of the Chicago Cubs. 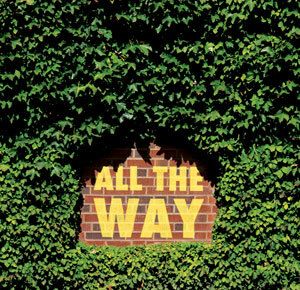 “All The Way” is available exclusively from the PearlJam.com website for a 99 cent MP3 download. At the request of Ernie Banks, Eddie threw together a song for the Cubs (“All the Way”). He got a pretty good live version of it at the Auditorium Theatre in Chicago this August. It’s now being played on Chicago radio and at the Bleacher Bars around Wrigleyville. We have decided to make the song available for download – you can get it here. There’s a chance we’ll also make available some hard copy CDs and we’re looking into souvenir 45 singles, as well. Check back here for the latest. Go, Cubs, go! New: Get CDs and downloads of Cubs music on the CubHub.net site from Amazon and iTunes!